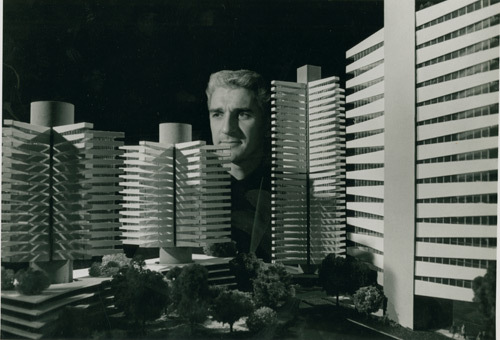 Haigh Jamgochian and architectural models. 1960s. Acc. 41492. Library of Virginia. Proposed "Tree House" for West Franklin Street, Richmond. Haigh Jamgochian, architect. 1962. Acc. 41492. Library of Virginia.